Tetra Capital’s Executive Vice President, Matt Moore, is an integral part of our success. 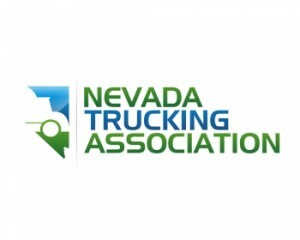 He recently had the opportunity to reflect on his over six years at Tetra Capital, and his time spent helping owner-operators, and small trucking companies get the funds they need to grow their businesses. What are you responsible for at Tetra Capital? My main focus is the operation side of the business. I make sure that our employees are well taken care of and have the resources they need to not only take care of our clients but to ensure they can build great relationships. I am very proud of our team and how they help our clients. Our success with building great relationships was confirmed recently with a customer satisfaction survey we conducted with our existing clients. We were fortunate to receive an outstanding 94% four-star rating for overall customer service satisfaction. Additionally, 87% said they would absolutely recommend Tetra Capital to a friend. Click here to read the whole story. What do you like most about your job and working with owner-operators and small trucking companies? The best part of my job is to see how excited members of my team get when they see their clients find success and knowing we played a part in them being able to grow and succeed. What is the one thing you wish every owner-operator and small trucking company owner knew? Great partners may be hard to find in this industry, but when you find them, they can and will be the keys to your success. 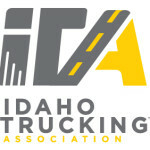 What is the biggest challenge you see facing the trucking industry? The commoditization of freight has become the biggest challenge in the industry, and it is hitting a lot more industries each year. Allowing our clients the flexibility they need to develop relationships with Brokers and Direct Shippers allows them to earn a better income for the work they do. Is there one client that you have worked with at Tetra Capital that stands out as the most memorable? We brought on a new client a couple of years ago with one truck that was barely making it day-to-day. He was taking fuel advances on every load and still struggling. We were able to work with him and not only get him to the point of no longer needing fuel advances but now he has a few more trucks and is making a great living to provide for his family. ← How Can Owner-Operators and Small Trucking Companies Maximize Profit?